In a previous map, Pleasant Hill, you saw how Photoshop can be used to create a parchment backgorund. Fortunately, for those of us who aren’t Photoshop experts, this effect can also be quickly and easily achieved with Campaign Cartographer. 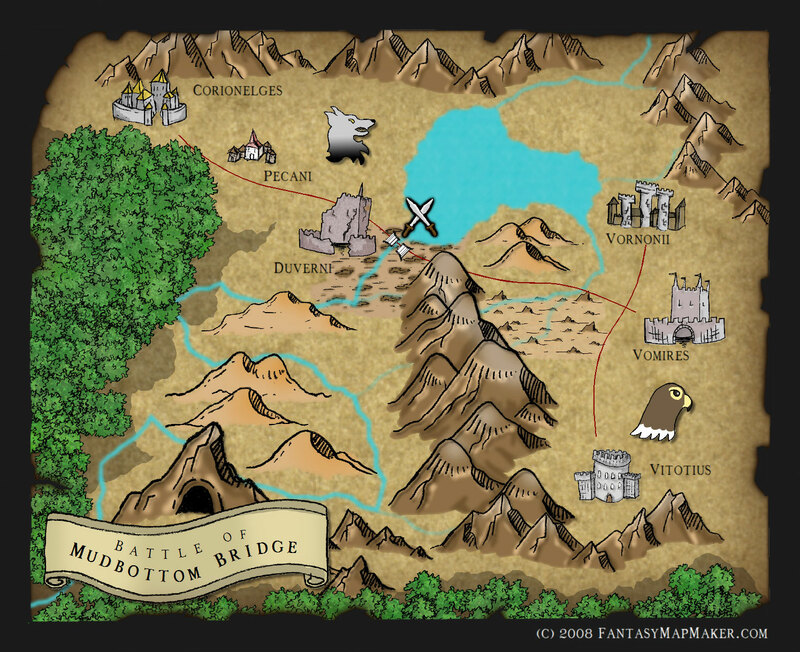 The kind folks at Profantasy have produced several parchment templates that you can use as backgrounds for your maps. You can even rejuvenate your old CC2 and CC3 maps by importing them onto a parchment background. This map was made with Campaign Cartographer. nice design, keep up the good work!